This listing has another exceptional McCoy candle holder listing! 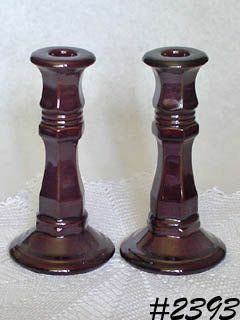 These are dark brown with shiny over-glaze and measure 7 1/8" tall. They coordinate beautifully with McCoy's brown drip dinnerware items. Difficult to find set in mint condition!